Whether its cars or motorbikes, beginner or experienced drivers, skid control or advanced training, we can help you achieve your goal quickly and affordably. 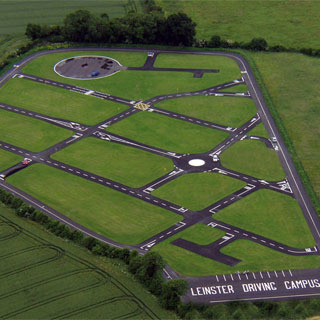 Our mission at Leinster Driving Campus is to make you a safe driver for life. Our learners have been proven to progress at a much quicker rate than those who get their first lessons on the public roads. Our clients can concentrate on getting familiar with the car and its controls without having to worry about other traffic on today’s busy roads. We believe this user-friendly approach gives drivers the ideal conditions to build up their confidence and driving skills before driving on public roads or indeed sitting their driving test. We also ensure that we provide first class equipment and the very highest standards of in-car instruction at all times. All our instructors are Approved Driving Instructors and use dual controlled vehicles. How it Works: Use this gift voucher on AllGifts.ie to make a booking with Leinster Driving Campus. Or you can swap this voucher for any other gift or voucher listed on AllGifts.ie. Simply follow the instructions at the bottom of your voucher.